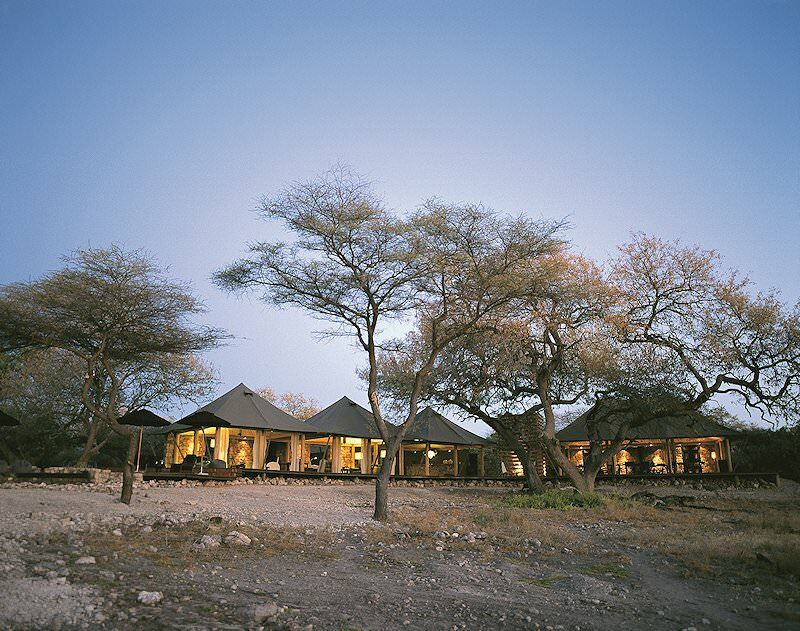 Onguma Tented Camp provides exclusive safari accommodation just outside Etosha National Park. 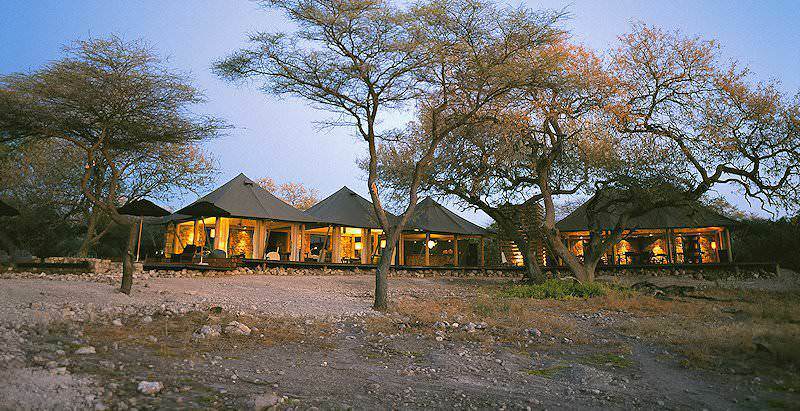 Onguma Tented Camp is situated on the eastern side of Etosha National Park, the most famous of its sort in Namibia. 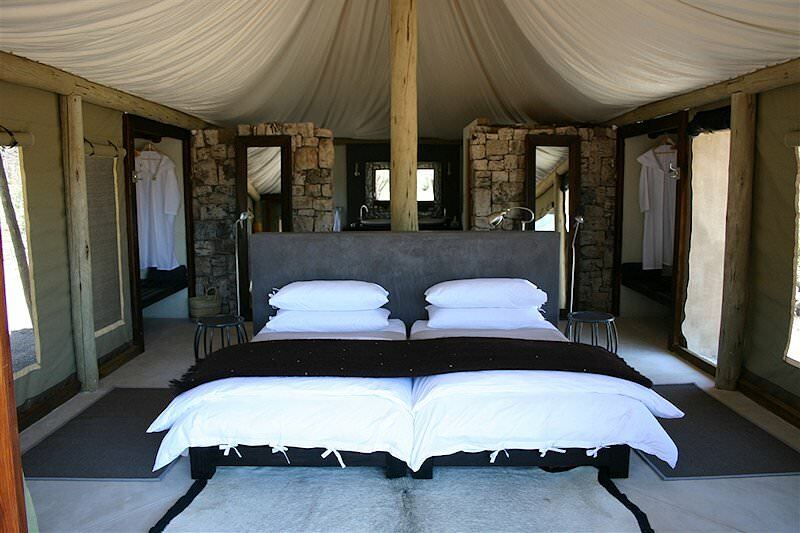 Here, the colors that were inspired by the gemsbok in the desert, flow together under canvas to form Onguma Tented Camp. 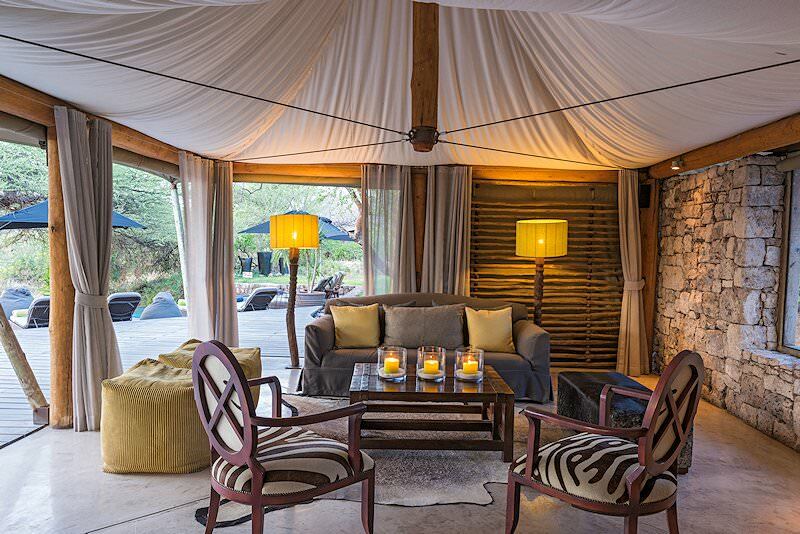 A place of luxury and relaxation, the pinnacle of an African tented safari camp comes to fruition under perfect skies. 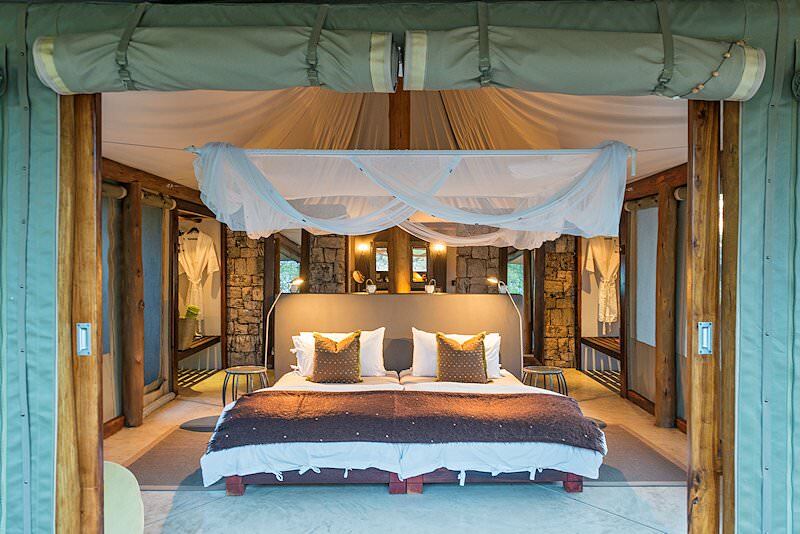 Onguma Tented Camp offers seven tents in a 'U' formation, enabling privacy and panoramic views of the African bush. The watering hole, some 60 meters away, will deliver all the drama and excitement during a stay at Onguma, while fine dining, the swimming pool or lounging about with a good book will feed the soul. 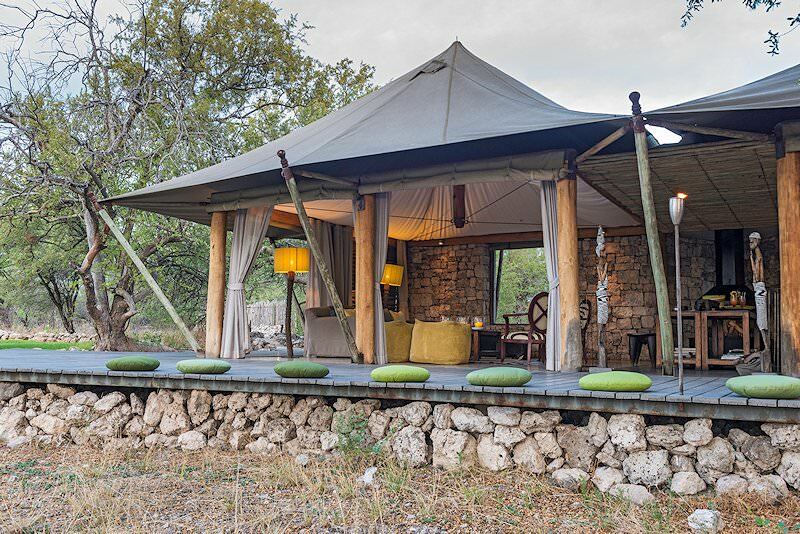 The camp also offers activities for those not too keen on only relaxing at the camp, such as a game drive at sunset or at night. Alternatively, combine it with a sundowner drive, to experience nature up close with an experienced field guide that will unlock the mysteries of the wilderness. 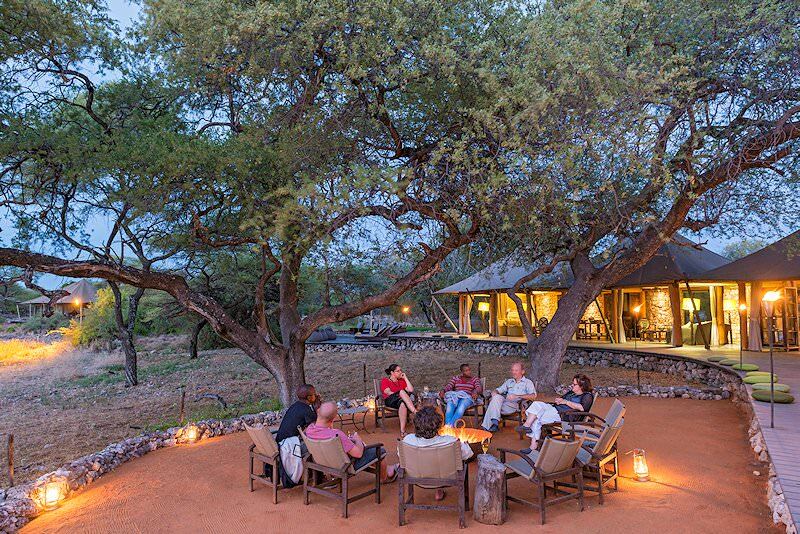 Guests are chartered to Namibia's Onguma Private Game Reserve from Windhoek via O R Tambo International Airport in Johannesburg. Game drives in this unique, arid landscape offer many thrilling spoils, such as lion prides trailing a grand herd of wildebeest and zebra, or the tiny Damara dik-dik - a graceful little antelope endemic to northern Namibia. 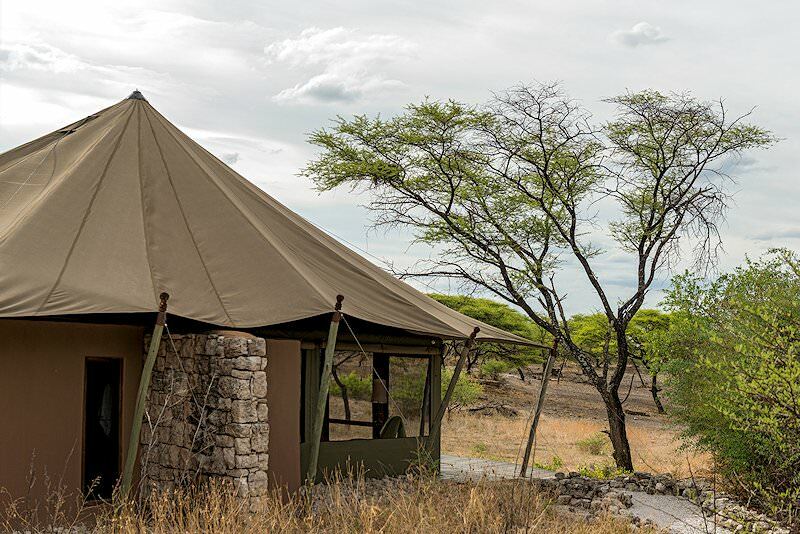 For an alternative safari experience, explore the adjacent Etosha National Park on foot for close encounters of the four-legged kind. 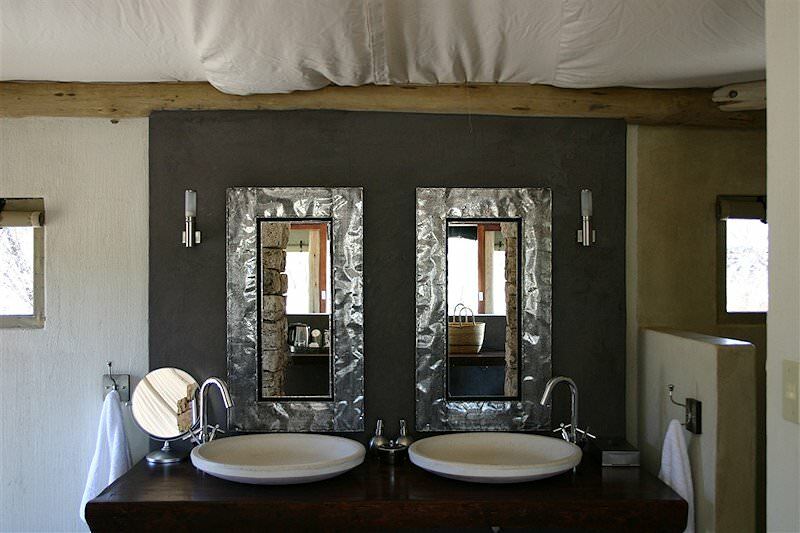 Escape into the nippy water of the camp's plunge pool or opt for an outdoor shower with the immense wild desert as your only witness. Dine on exquisitely prepared meals with the wilderness only a few strides away. 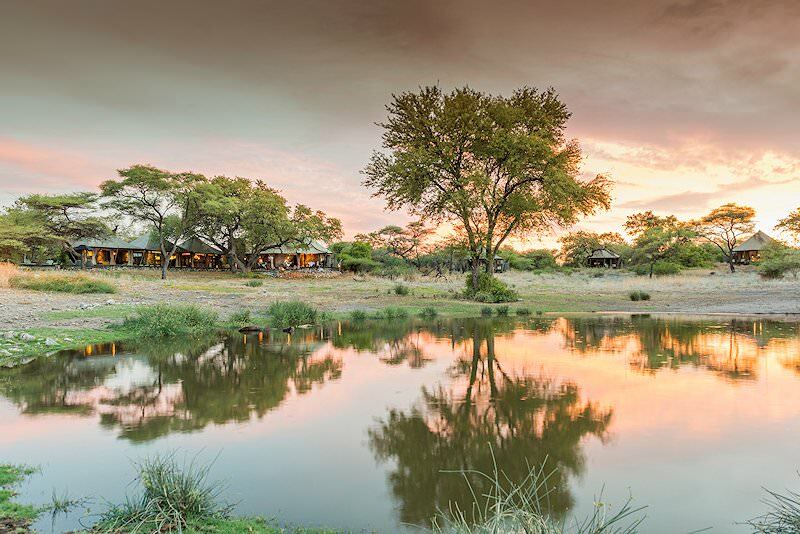 This Namibian safari package provides an experience that envelops guests in the enigmatic arms of the Namib Desert, ensuring an unforgettable getaway. South Africa's top safari destination is the Kruger National Park. Botswana safaris offer the unique opportunity to enjoy water-based game viewing. Namibia's desert landscapes and starry night skies will take your breath away. Zambia is an oft-overlooked - and truly rewarding - African safari destination. Mozambique is Southern Africa's finest beach and island vacation destination. The Kruger National Park is Southern Africa's premier safari destination, boasting unmatched diversity and a range of accommodation options. 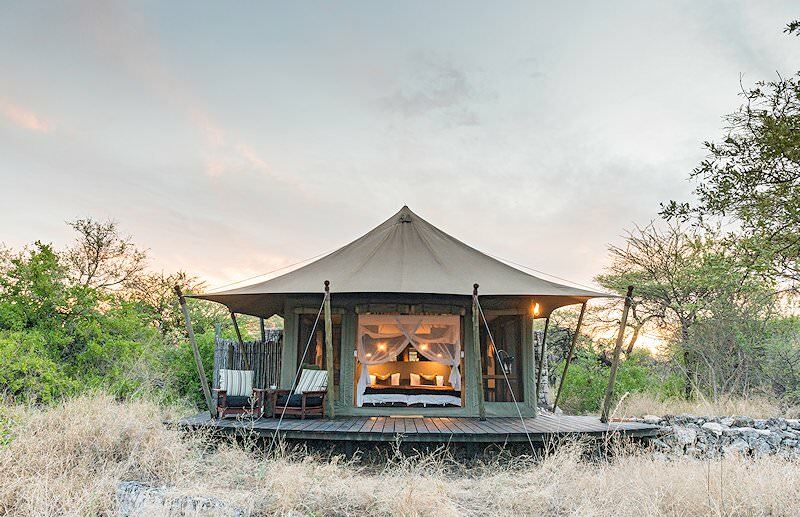 For the plush, wild adventure of a lifetime, opt to travel to Africa on an inclusive luxury safari with African Sky. The Big Five arguably offer the most memorable sightings on safari, from watching lions take down their prey to intimate encounters with elephants. 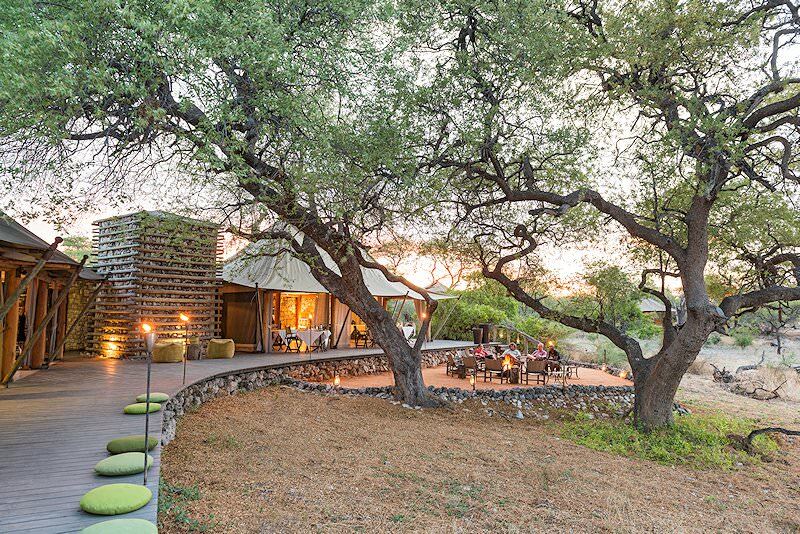 We include a wide range of African lodges in our safari packages, from eco-friendly camps in Botswana to private bush villas in South Africa.